The food and beverage industry is of equal importance to all people globally. However, the relative cost of food is not equal. It varies widely due to such factors as location, local food industries and the availability of proper infrastructure . 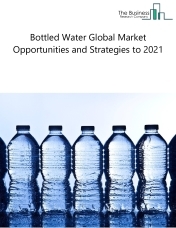 The growth of the food and beverage market was slowed down by food and beverage industry regulations influenced by rising concerns about consumer health, sustainability and social issues. The good news is that the market is expected to grow to $9.5 trillion accounting for 9% of the gross world product (GWP). 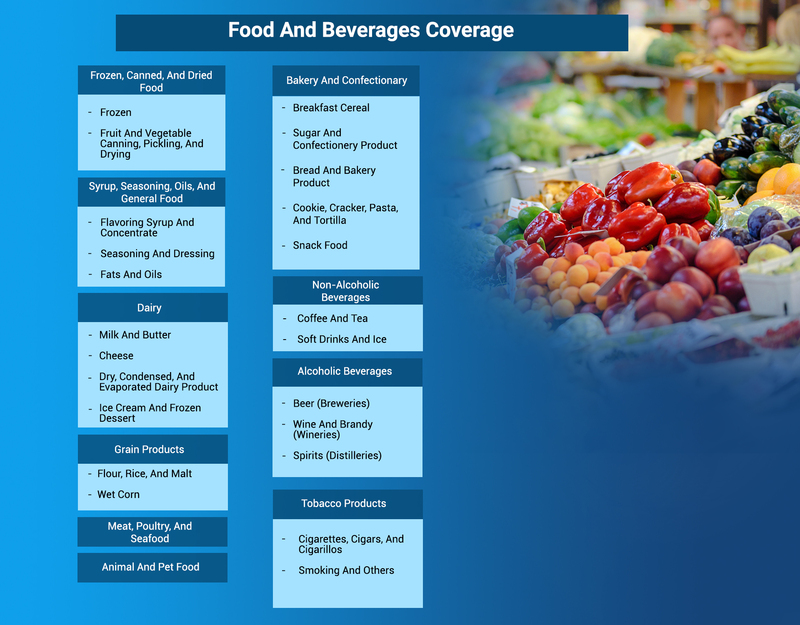 The food and beverages market consists of sales of beverages, food, pet food and tobacco products by entities (organizations, sole traders and partnerships) that manufacture beverages, food, pet food and tobacco products. The companies in the food and beverages industry process raw materials into food, pet food and tobacco products, package and distribute them through various distribution channels to both individual customers and commercial establishments. 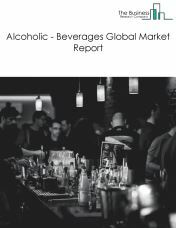 The alcoholic beverages market consists of sales of alcoholic beverages by entities (organizations, sole traders and partnerships) that manufacture alcoholic beverages through the fermentation process and that produce distilled alcoholic beverages. The companies in the alcoholic beverages industry process raw materials into alcoholic beverages, package and distribute them through various distribution channels to both individual customers and commercial establishments. 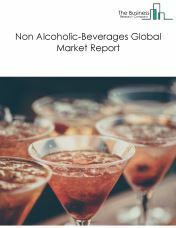 The non-alcoholic beverages market consists of sales of beverages that do not contain any alcohol by entities (organizations, sole traders and partnerships) that manufacture beverages that do not contain any alcohol. The companies in the non-alcoholic beverages industry process raw materials into non-alcoholic beverages, package and distribute them through various distribution channels to both individual customers and commercial establishments. 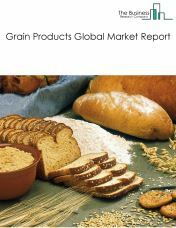 The grain products market consists of sales of grain products by entities (organizations, sole traders and partnerships) that mill flour meal from grains or vegetables, prepare flour mixes or doughs from flour, mill, clean and polish rice and manufacture malt from barley, rice and other grains. The companies in the grain products industry process raw materials into grain products, package and distribute them through various distribution channels to both individual customers and commercial establishments. 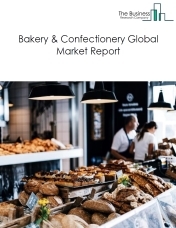 The bakery and confectionery manufacturing market consists of sales of bakery and confectionery by entities (organizations, sole traders and partnerships) that manufacture bakery and confectionery products. The companies in the bakery and confectionery industry process raw materials into bakery and confectionery, package and distribute them through various distribution channels to both individual customers and commercial establishments. Some of the examples of bakery and confectionery products include breakfast cereals, breads, cookies, chocolates, gums, sugar confectionery and others. The other food products market consists of sales of perishable prepared food, snack food and all other miscellaneous food by entities (organizations, sole traders and partnerships) that manufacture other food products including perishable prepared foods, peeled or cut fruits and vegetables, processed food, prepared meals, other perishable prepared food, snack food, potato chips, popcorn, processed snacks other snack food or all other miscellaneous food. 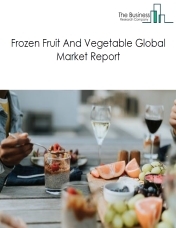 The frozen fruit and vegetables market consists of sales of frozen and canned fruit and vegetables by entities (organizations, sole traders and partnerships) that produce frozen and canned fruit and vegetables. This market does not include unprocessed fruit and vegetables which are part of the agricultural market. The companies in the industry package and distribute their products through various distribution channels to both individual customers and commercial establishments. 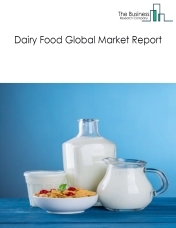 The dairy market consists of sales of dairy products by entities (organizations, sole traders and partnerships) that manufacture dairy products from raw milk and processed milk products, manufacture dry, condensed, concentrated and evaporated dairy, and/or produce some dairy substitute products. The companies in the industry package and distribute their products through various distribution channels to both individual customers and commercial establishments. The syrup, seasoning and oils consists of sales of syrup, seasoning and oils by entities (organizations, sole traders and partnerships) that manufacture flavoring syrup and concentrate, seasonings and dressings and vegetable oils. The companies in the industry package and distribute their products through various distribution channels to both individual customers and commercial establishments. The animal and pet food manufacturing market consists of sales of animal and pet foods by entities (organizations, sole traders and partnerships) that manufacture food and feed for animals and pets from ingredients such as grains, oilseed mill products, and meat products. The tobacco manufacturing market consists of sales of tobacco products by entities (organizations, sole traders and partnerships) that manufacture tobacco products by stemming and redrying of tobacco and manufacturing cigarettes and other tobacco products. E-cigarettes are not included in this market. 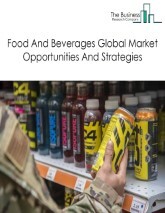 The food and beverages market consists of sales of beverages, food, pet food and tobacco products by entities (organizations, sole traders and partnerships) that produce beverages, food, pet food and tobacco products. The companies in the food and beverages industry process raw materials into food, pet food and tobacco products, package and distribute them through various distribution channels to both individual customers and commercial establishments.